Last night, friends of the Hadassah Foundation shopped with a purpose at a great event at the new Rebecca Minkoff store in Soho! 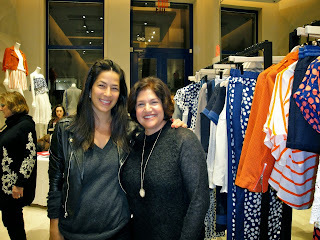 We got to view Rebecca's latest designs, and a portion of all sales were donated to the Foundation. Many thanks to Rebecca Minkoff, pictured above, alongside her aunt, Foundation Board Member Debbie Minkoff, for opening her store to us, and for even signing some purses! More pictures from the event can be viewed here.